As the mornings of my work commute are getting colder, I could almost smell snow coming our way. Well, maybe I can't exactly smell it. Deep into autumn means cough season is among us - have you caught the plague yet? But when you do, be sure to remember this extremely strange [yet effective] home-remedy that my mother, and now myself, swear by. 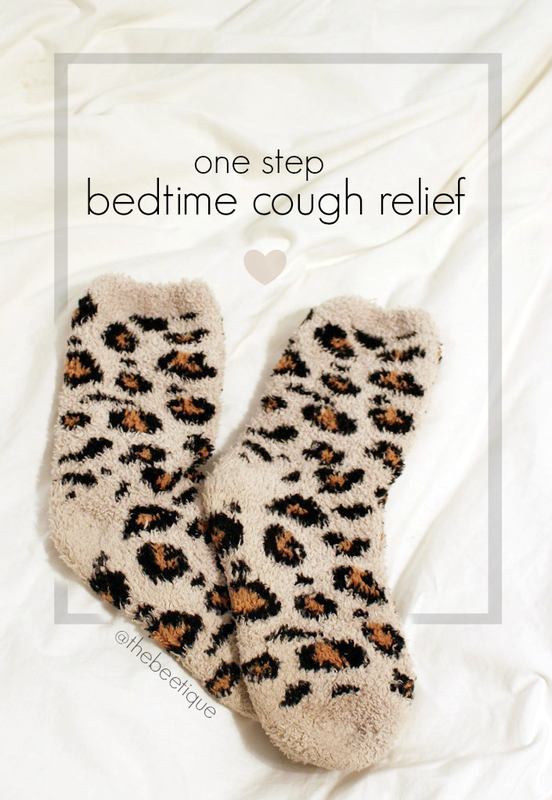 With a pair of socks + bedtime + Vaporub, you can quiet the nasty cough that's preventing you from falling asleep and also keeping you up at night. 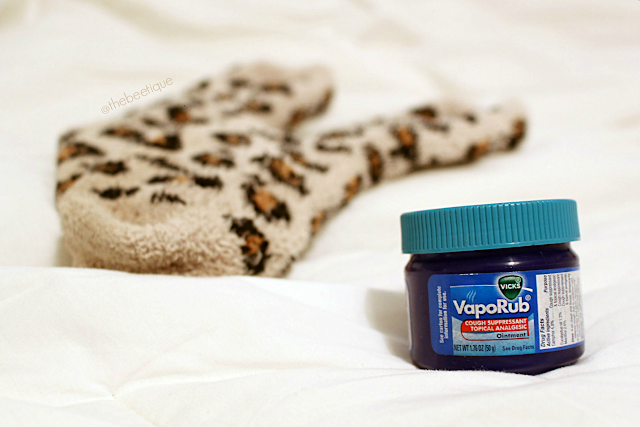 At bedtime, have a thick pair of socks and some Vick's VapoRub handy. Gently massage a generous amount of ointment onto the bottom of your feet, distributing any excess to the top. Immediately cover them with socks & prep yourself for the best night's rest you've gotten all week. I really wish I knew exactly why this helps open up the airways so effectively, but VapoRub on my feet at night has suppressed even the heaviest of coughs for up to eight hours. I've passed this cold remedy on to many others & I hope you do too! What other remedies do you swear by? Can't sleep? Have you seen my DIY Lavender Insomnia Spray yet? 3 comments on "Shhhhh... Bedtime Cough Relief Remedy"
This bedtime cough relief remedy is simple to follow and the materials used are commonly found in each home. Now a day it’s not so cold, so I will try it in winter. Yep exactly that cough is annoying and leaves you sleep deprived. Thank you for sharing this home remedy. Now I am going to try it. Cost effective and appears to be a quick fix.